There is a LOT of bad myths within the fitness/nutrition world but this is up there with the worst of them. Yes there are foods that help your digestive system, provide more energy than others, may aid with recovery, help sleep, have a higher thermogenic effect etc etc. So yes, there is better choices that people can make when selecting foods. One thing eliminates fat tissue from the body and that’s a negative balance in energy, which is called a caloric deficit. This is when the body uses/burns/requires more energy than what you consume. Therefore your body requires energy from elsewhere so it will “tap” into excess fat stores. What if I told you that you could still eat Pizza Chocolate  and drink alcohol  and STILL lose fat… Bet a lot of people would disagree?? Again a topic for another post…. 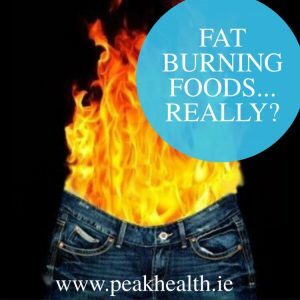 Just think for a second…do you honestly think there’s foods out there that you eat and they just simply burn fat? 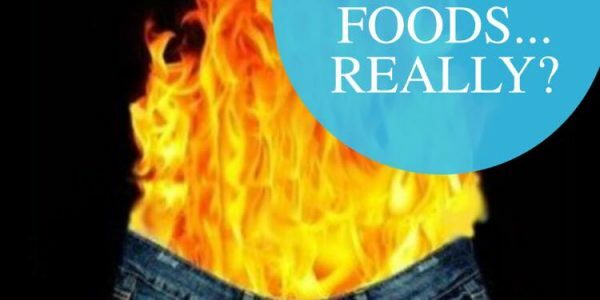 Wouldn’t you imagine that these foods would be the most popular in every store and there would be queues of people waiting to get their hands on it! And better again, these foods would just fix the obesity epidemic we’re currently facing.